Whether you are a small to medium enterprise or a large company, this Cloud-based application helps you automate both your IT and non-IT risk management. The foundational elements to any risk management program involve the identification, assessment, and tracking of risks. Many organizations make life difficult for themselves by concocting homegrown, spreadsheet-based, risk registers and assessments. This makes program management, tracking of assessments and proving you are following a specific framework extremely challenging and onerous. 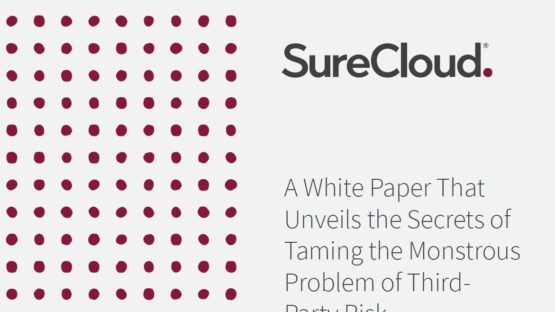 SureCloud’s Risk Management solution provides a streamlined, structured approach to risk management and a central view of risk across the enterprise. SureCloud’s Risk Management software solution allows organizations to identify, assess and manage risks of all types across divisions, business units, business functions, and geographies. Risk registers can be set up centrally or in a distributed arrangement allowing teams to own any given set of risks. 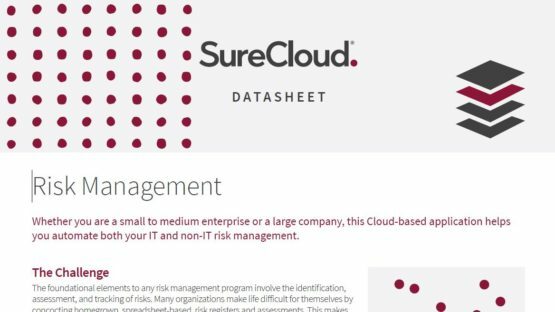 SureCloud’s Risk Management solution can also aggregate registers comparing different types and approaches of risk side by side, enabling organizations to simultaneously support different Risk Frameworks, such as ISO, COSO, and IRAM2.